Summertime Publications Inc., 9781940333083, 248pp. Twelve stories of wayward travelers. Twelves stamps on the passport of the soul. Walter struggles to see past his disfigurement, but a trip to Thailand and a mysterious woman may challenge his quest for perfection. Married to a workaholic, Leslie is accustomed to solitude until her overbearing Indian mother-in-law turns her kitchen into a verbal battlefield. A woman looks for the perfect souvenir in the Turkish Bazaar and instead finds a passionate love affair. From ice storms in Maine to swimming pools in Vera Cruz, errant souls must grapple with past baggage to forge profound connections and a new sense of direction. 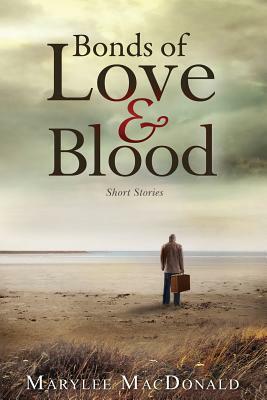 Bonds of Love & Blood is a poignant collection of prize-winning stories featuring life's unexpected arrivals and departures. If you like intimate accounts of lives at the crossroads, vibrant portrayals of global locales, and elegantly-crafted prose, then you'll love Marylee MacDonald's compelling tales of travel.